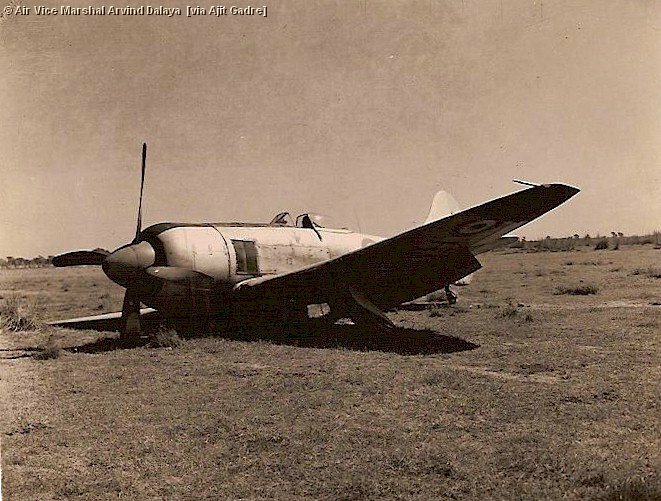 The crash of my Tempest at Halwara airfield in 1952. I was landing and felt the aircraft pull to the right. I squeezed on the left brake to keep it straight but it continued to veer to the right and went off the runway to the grass shoulder. The aircraft came to a stop resting on its right wing. The cause of the crash was technical failure of the right main wheel strut.